Purchase the Musical Core Today! 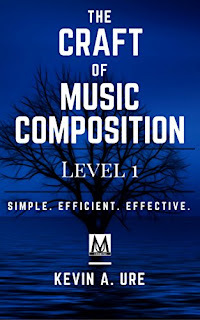 Interested in learning to compose music but don't know where to begin? Even if you have no experience with music, The Musical Core is designed to take you through the basics so that you can learn to identify notes on the musical staff and begin to read and write music of your own. The course is designed to benefit the complete beginner while also providing a challenge to intermediate level musicians. 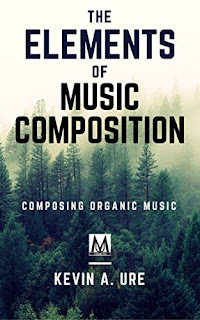 This course is recommended if you're interested in taking music composition lessons and learning how to compose music on your own. Before you can compose original compositions, you need a solid foundation in the basic tenets of music theory. Develop your ear to easily recognize intervals and learn the essential theory that is required to notate your musical ideas. Designed by a university instructor, this course will guide you through the basics to help you learn how to read and write your own music. 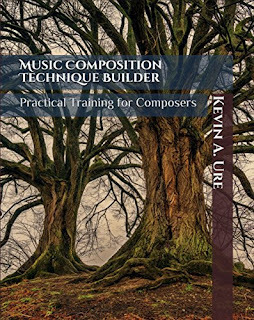 The Musical Core is now available for purchase from Kendall-Hunt Publishing Company. This course has previously been used at The University of Nevada, Las Vegas for both music majors and non-music majors. Develop your mind with music theory exercises and develop your ear using tested ear training exercises that are designed to make it possible to mentally preview a written score. Purchase access to the course today! Through the use of online drills, downloadable PDF booklets, online ear training drills, and more than 4 hours of audio files to help you train and develop the ear. This course provides instruction on how to create a practice routine, and provides the tools necessary to engage in advanced study. Suitable for both the entry-level musician with zero musical training and the experienced musician who needs to fill in the gaps in their musical education, the ear training component is designed to develop the ear while reinforcing music theory concepts in a simple and enjoyable manner. Identify the notes on the piano keyboard. Learn to read and write notes in the treble, bass, and less commonly used clefs. Identify intervals (the distance between two notes). Gain an understanding of triads and seventh chords. Memorize key signatures, major, and minor scales. Develop an appreciation for music and learn the history of musical notation. The course was designed to provide an online option for students to take MUS 101 and MUS 102 online at The University of Nevada, Las Vegas. 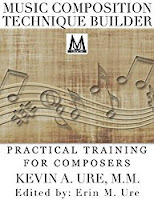 Kevin Ure is an instructor, composer, and writer who dedicates his time to helping musicians develop enhanced musicianship skills. Learn more at KevinUre.com. The Musical Core series is now active. 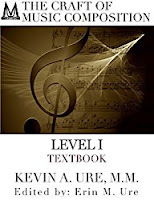 Three units worth of lectures are available online so that musicians can learn the basics of music theory. For more information, visit our Harmony page or checkout the playlist on YouTube.